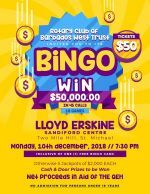 The Rotary Club of Barbados West Trust is offering the biggest Bingo game jackpot ever in the Caribbean. 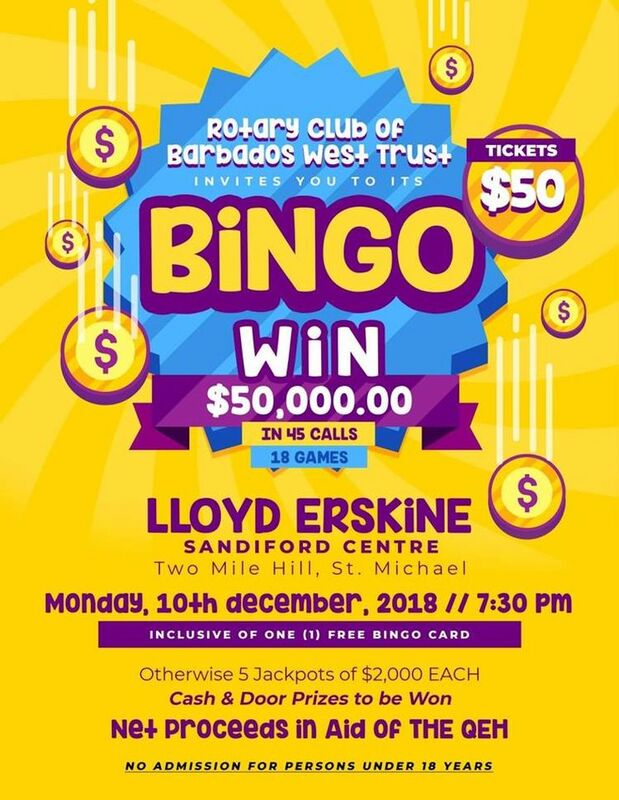 Tickets are Bds $50 inclusive of one free bingo card. Cash and Door prizes to be won. Net proceeds in aid of local charities. Persons under 18 y.o. are not admitted.